A former Beechcraft production test pilot’s company in Kansas is breathing new life into an old, out-of-production airframe. 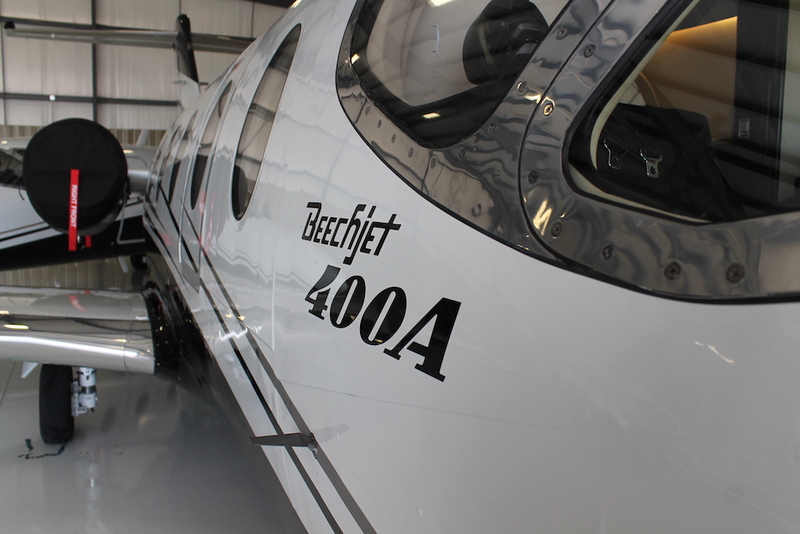 Clemens Aviation, an FBO, charter, maintenance, and aircraft sales and management company founded by Dwayne Clemens, is wrapping up modification and refurbishment work on its 14th Beechjet 400A. Clemens, who started the company in 2003 after 18 years as a test pilot at the former Raytheon Aircraft Co., flew Beechjets frequently during his career and is convinced it’s one of the best light business jets on the preowned market today. “There’s really nothing out there with its speed, size of cabin, and range,” Clemens told AIN. Nearly all of the 14 Beechjets in the Clemens Aviation fleet are owned by individuals or partnerships. Only a couple of them are owned by the company, he said. The Beechjets also make up the majority of its fleet, which totals about 21 airplanes and includes Beechcraft King Airs, a Beech Baron, Hawker 800XPs and a Bombardier Challenger 601. The Beechjet became the staple of Clemens Aviation’s managed fleet largely through Dwayne Clemens’s recommendation to clients seeking to purchase a business jet, he said. The model's final year of production was in 2003 after a 17-year run—initially as the 400 and a few years later as the 400A with selected refinements. What Clemens Aviation has done to refresh its stable of 400As is install new avionics, add winglets, refurbish the interior, and apply new paint. He estimates the turn-around time on refreshing the Beechjets is about 90 days. His foray into the aircraft management business and as unofficial spokesman of the Beechjet 400A started 16 years ago, when he purchased Lloyd Stearman Field Airport (1K1) on the edge of tiny Benton, about 21 miles northeast of Wichita. Since then, Clemens has expanded the company, adding a Part 135 charter operation and aircraft management to its FBO services—which include managing a fuel farm—and aircraft sales. Running the company and the airport is a family affair. Clemens’s oldest son Alex is a pilot and oversees the flight schedules and maintenance shop along with sharing the day-to-day operations of the airport with his dad. His wife, Julie, and their daughter Lizzie, both of whom are type-rated in the Beechjet and Hawker 800XP, handle the books and billing for the various parts of the company. Family involvement in the company and airport means low overhead, which “is a key to our success,” he said. Each family member works out of their homes that are located on the 90-acre public-use airport. The airport includes Stearman Estates, a single-family housing development, with hangars, on the west side of its 5,100-foot runway as well as several condominiums with hangars on the east side of it. With 40 T-hangar units and 10 large hangars encompassing 100,000 sq ft now at Stearman, Clemens is looking to extend his company’s operations to Col. James Jabara Airport (AAO), a public general aviation airport on Wichita’s east side that’s five nm west of Stearman. Part of the reason he’s looking to expand is the need for more space for Clemens Aviation’s operations. The other is 90 percent of the owners of the airplanes his company manages live within four miles of Jabara, Clemens said. The company is awaiting approval from the Wichita Airport Authority to build an FBO at Jabara that would include 8,000 sq ft of office and terminal space, and 60,000 sq ft of hangar space. “We need more runway. We need more hangar space. And we’re in the FBO business,” he explained.